Wikipedia is a good source of getting superficial information on anything. 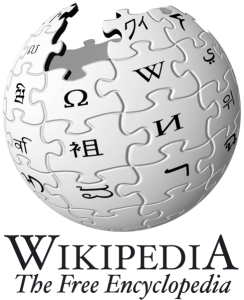 Besides, whenever you Google a word or a phrase, be it related to anything, the first few links that it will show, will surely either have a Wikipedia page about it on the top or at number two or three in the links that will come up in the search results. One cannot say that Wikipedia is entirely reliable because after all, it hosts user-generated contents. 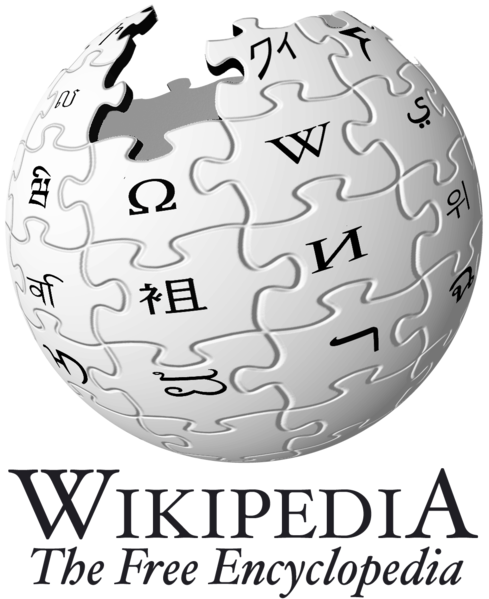 Wikipedia pages are edited by users the world over. Though one has to be approved by the Wikipedia itself to do so. There is a certain level of authenticity of an editor that has to be maintained to keep the information as true as possible. There has been, despite it all, edits made from time and again, which were either false or of propagandist nature. Or even abusive at times. But all of this does not diminish the importance of the wonderful first-hand online resource like Wikipedia. Especially, when the United States’ presidential elections are being run on it, of sorts. At least for the presidential candidates. They are on the run to the White House through their Wikipedia page edits. Here is how. Recently, according to Mashable, Mitt Romney has had done hundreds of edits done on his Wikipedia page since the Republic primaries. The edits have been mostly on the page “Bain”, which is the name of the company whose former CEO was none other than Mitt Romney. Then there are edits on “Massachusetts”, Romney’s governorship state, and on such pages as “business” which is something that Romney does other than “playing politics”. 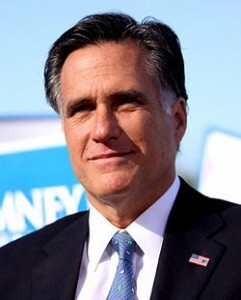 For Mitt Romney, editing out Wikipedia pages seems like editing out unwanted life stories. If life were to be like a Wikipedia page, one can just simply edit out things to make it look truthful, informative and direct. But that is not how life is, thankfully actually. Life is more complicated and thus more truthful. Though often not to those who vote for a certain candidate when it comes to judging his or her abilities to lead a public office and not just any but the highest office in the U.S. government, the Oval Office. It seems a lot concerning for everyone in the world. Because the United States presidential elections results in a man (or a woman may be at some point in time in the future) in holding the office considered to be the most powerful in the world. Why? For the shear reason that America is a self-acclaimed superpower. Not that anyone has contested that notion, but nor has anyone declared or openly recognized it. The entitlement of being a superpower can be viewed from many different aspects and that includes military power or military superiority, but not solely that. It includes economic strength, capitalistic potential to even employment rate and financial stability of citizens. Because human resource is essential in the world of geo-economics and intellectual capitalism today. You cannot have a strong state without a strengthened nation and no social security amongst people. A government must be able to provide foremostly a standard of living to its citizens with full opportunities to realize their potentials. The other factors include the high Human Development Index, besides other factors too numerous to mention here. There are states in the world that far exceeds in these aspects than the United States. If there were to be a more moralistic view point of politics, and not just a realistic perspective which revolves around power and rational (or self-centered) behavior of states, a superpower should be an entitlement given to a nation most powerful and effective in charitable causes, to this planet and to its issues and people with no agenda, no vested interests and with no return or benefits. But the way the United States has declared itself to be a superpower, these facets of the definition does not apply to it. However, Mitt Romney, the current republican presidential candidate, can go on having his Wikipedia pages edited out, but history and time itself are always the first and the last witnesses. The final evaluation of a life lived will be dealt with the annals of history and not Wikipedia’s pages. If this is what race means in terms of dealing with the technological side of winning the presidential run to the White House, then Mitt Romney and others like him have got it all wrong. Two reasons, JR: A) After you watch ONE ptiloical satire show, you’re kind of full , and don’t really want another dose of the same. (There have been nights when both shows have ended up ( by virtue of covering the same story of the day ) basically doing variations of the same jokes (also true of the OTHER late-night shows, of course; it’s not plagarism, it’s just the nature of the game). B)THE DAILY SHOW’s only major timeslot competitor is Conan (who’s not a big draw these days, but does overlap with Stewart and Colbert’s SPECIFIC fanbase- indeed, O’Brien’s show does MUCH better in Canada, where it actually FOLLOWS their shows on the same network, and all three shows basically support each other). By contrast, Colbert goes directly up against not only the last half of O’Brien, but head-to-head with Letterman and Leno- both skew older, but there’s going to be some attrition. It’s possible Colbert would do better if he switched timeslots with Stewart but I tend to think his more conceptual humor needs the audience to be warmed up and in the mood to work best.It’s a matter of taste which you prefer, but I think Stewart’s straight-up here’s what stupid things politicians did today approach has a more mainstream appeal- indeed, it’s just a more specific, detailed descendant of the kind of monologues late-night hosts have been doing since Watergate made doing EXPLICITLY ptiloical jokes acceptable to mainstream audiences.